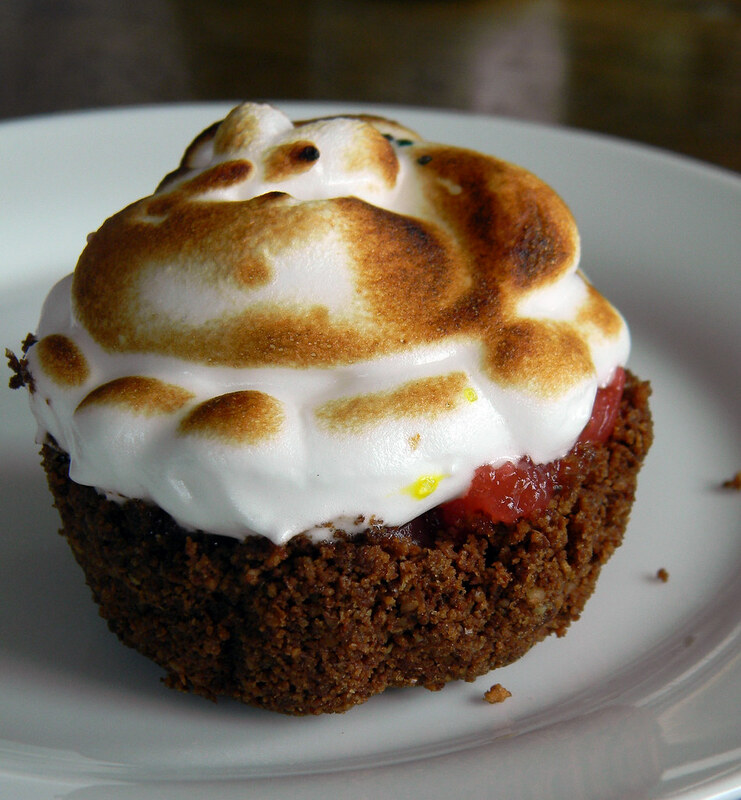 Strawberry Meringue Tartlets #SundaySupper | What Smells So Good? Preheat the oven to 375°F and line 12 muffin cups with foil liners. In a bowl, stir together graham cracker crumbs, flaxseed, coconut and cocoa powder. Stir together the coconut oil, orange juice and brown sugar in another bowl, then add to the graham crumb mixture and stir until moistened. Spoon evenly into the muffin liners and press into the bottom and up the sides. Bake for 7-10 minutes, until firm. Cool completely, then chill for at least 45 minutes. Combine the strawberries, strawberry jam, icing sugar and cornstarch in a microwave safe bowl. Microwave for 5 minutes, stirring with a fork after 30 seconds to thoroughly combine. Spoon into the chilled crusts and refrigerate while preparing the meringue. In a spotlessly clean bowl with an electric mixer, whip egg whites, cream of tartar and salt until soft peaks form. Gradually add the sugar while whipping and beat until stiff glossy peaks form, about 8 minutes. Serve immediately or cover loosely and store in the refrigerator up to 2 days.